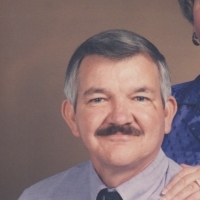 Mr. Jack Reynolds Smith, 74, of LaGrange passed away October 8, 2018 at his home after extended illness. Mr. Smith was born January 3, 1944 in LaGrange the son of the late Hillis Almand and Mildred Reynolds Smith. He was preceded in death by his parents and Sister, Paula Ann Smith and Brother Vernon Michael Smith. Mr. Smith was a lifelong resident of LaGrange and attended LaGrange High School and proudly served his country in the United States Army during the Vietnam Conflict. Jack started his career in construction, electrical and manufacturing fields. He furthered his education by attending West Georgia Technical College and excelled in Machine Tool Technology which he later utilized during his manufacturing career. Jack retired from the Transportation Dept of the Troup County School System as a bus driver. Mr. Smith was a member of New Hope Baptist Church and a born again Christian. In his spare time he enjoyed hunting, fishing and watching Georgia Bulldog football. A memorial service will be held at 1:00 P.M. Friday, October 12, 2018 in the chapel of the Hunter-Allen-Myhand Funeral Home with the Reverend Michael Hornby officiating. Visitation will be held from 12 Noon until 1:00 P.M. on Friday at the funeral home. Memorial arrangements for Mr. Jack Reynolds Smith are by Hunter-Allen-Myhand Funeral Home.